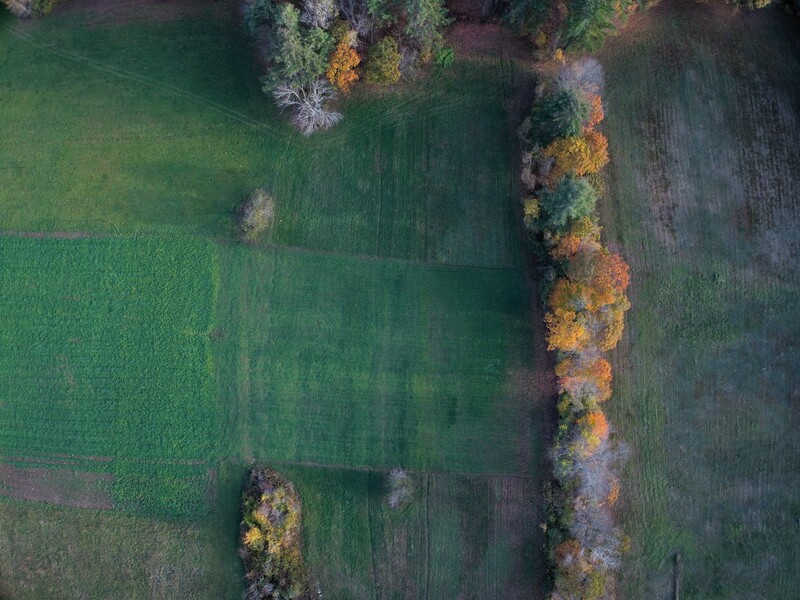 My Flickr contact Adam Bliss posted this excellent aerial shot of a field and trees with fall colors done with a drone. 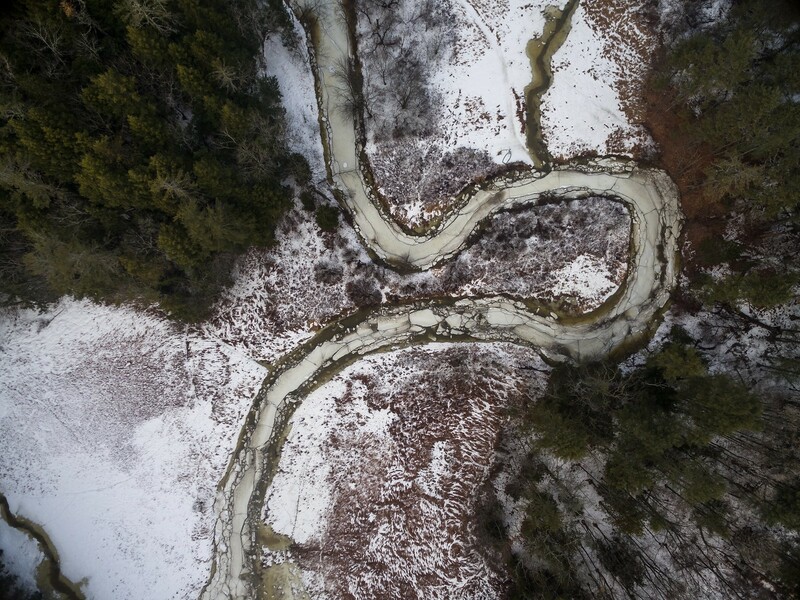 My flickr contact Adam Bliss posted this terrific aerial drone shot looking down at a horseshoe bend in the Cousins River in Yarmouth, Maine. 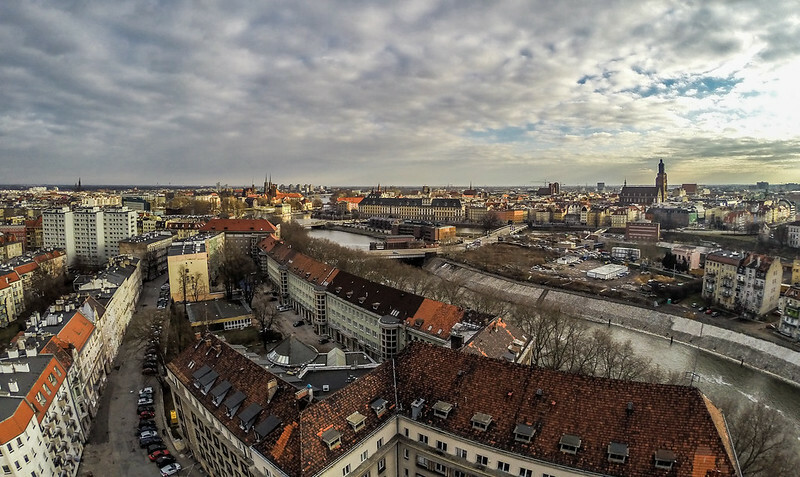 One of the few reasons I’d ever want to get a drone is exactly this kind of shot. This is spectacular footage shot by a drone of three orca whales swimming around and under a boat off New Caledonia in the South Pacific. 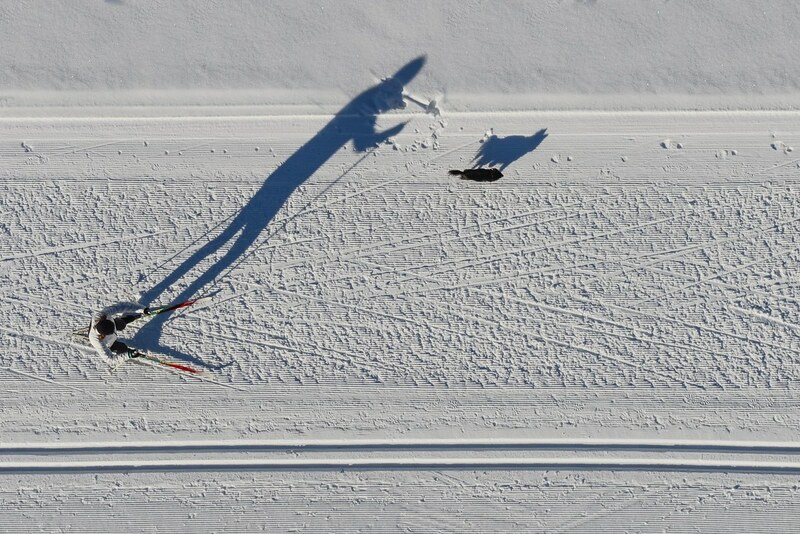 This is a great use for a drone (in this case a DJI Inspire drone). However, note the blown highlights on the whitewater when the whales surface and on the spray when they blow. I don’t know a thing about drones or the cameras mounted on them but no doubt this is something drone photographers would want to keep in mind in choosing a camera for their drone (or a drone that comes with a built-in camera). 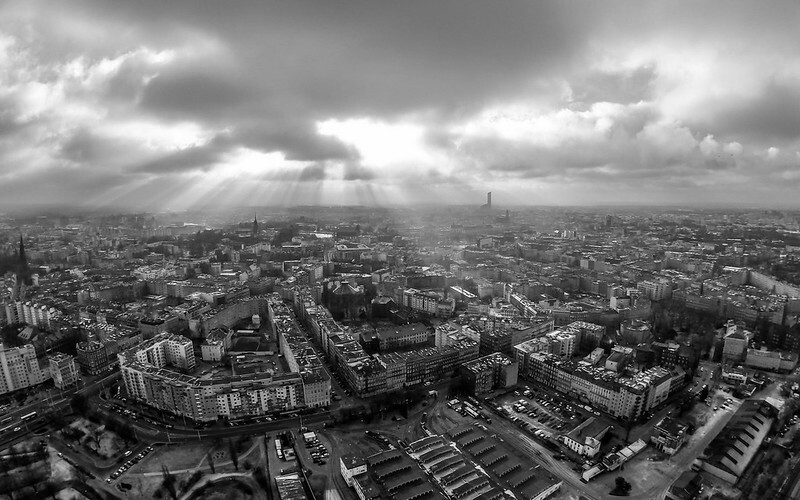 Flickr member Maciek Lulko took this image of Wroclaw, Poland using a drone and a GoPro camera. This kind of shot, which traditionally can only be made from a high structure or a helicopter, is a reason to get a drone. I’m not interested (yet) but it sure is a fascinating time to be living in. This excellent time lapse video of New York by Josh Owens was put online in 2011 and I saw it then but seeing it again this morning on PetaPixel got me thinking. This video has in it the stuff I love about being in New York, even as a still photographer. A number of the shots in the video are high up (in various hotels) and move out so that the viewer sees both a close view of a building with the movement of the city street in the same frame. One of these shots shows people moving around in an office (high up) and street movement at the same time. One of the many things I love about going to New York is experiencing what my wife calls “whiplash of the senses.” She too has come to appreciate and enjoy this feeling of going from our quiet life in a small Connecticut town to the relative multi-sensory chaos that is New York. This video allows the viewer to feel safe with calm music and slow pans as various views of the city move from day to dusk to night. Great stuff and it works well for me as I sit by my woodstove in rural Connecticut. Watch this on the biggest screen you’ve got, keep the sound in the background. Enjoy.